We have browsed some of our favourite online boutiques to come up with a few affordable ideas with prices ranging from £10 to £70 that can be worn year-round. This mini jewellery gift guide has been compiled with style, sustainability and story in mind – a lot of thought has gone into the design, sourcing and production of each piece, every one of which has been made by hand and with great care. What’s more, the below selection only gives a hint of what each website has to offer so do have a look at their collections to discover what other gems are to be found. 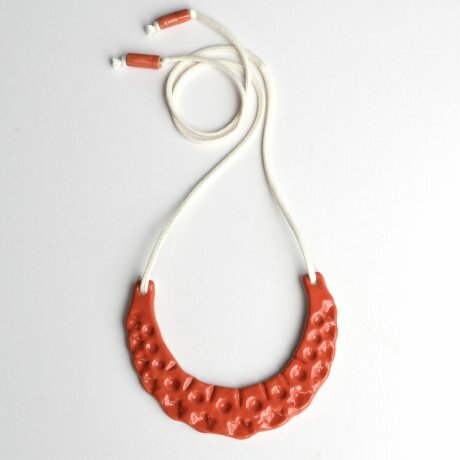 Handmade in London from fired and glazed stoneware clay, this striking Coral Red Crescent Necklace is incredibly versatile. The long Japanese organic cotton cord can be tied at any length you want so the beautiful red crescent can be worn as a collar or a longer necklace at the breast bone. Comes gift boxed. Prices for A Alicia's jewellery collection range from around £20 to £160. 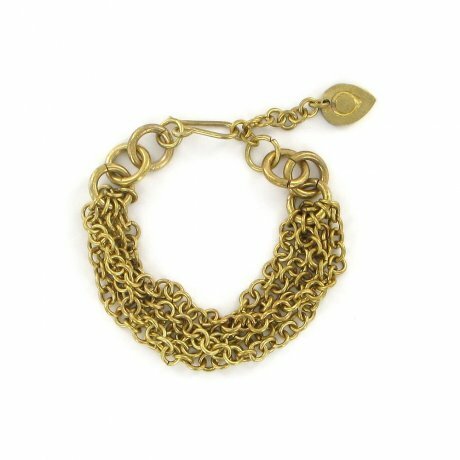 Perfect for the festive season but also a great all-year-rounder, the Waterfall Chain Bracelet was handmade in Kenya by interlinking tiny gold-toned brass ringlets. As well as their own extensive collection, Made regularly collaborate with brands and designers including Whistles, Pippa Small, Imogen Belfield and EA Burns. This popular ethical jewellery brand focuses on traditional techniques, supporting local communities and sustainable sourcing. Prices for Made's current jewellery collection range from £15 to £450. HTHT offers a range of jewellery, clothing and homewares from carefully selected designers. London-based Tiny Track sees the beauty in waste and upcycles scraps of leather into ‘wearable art’. 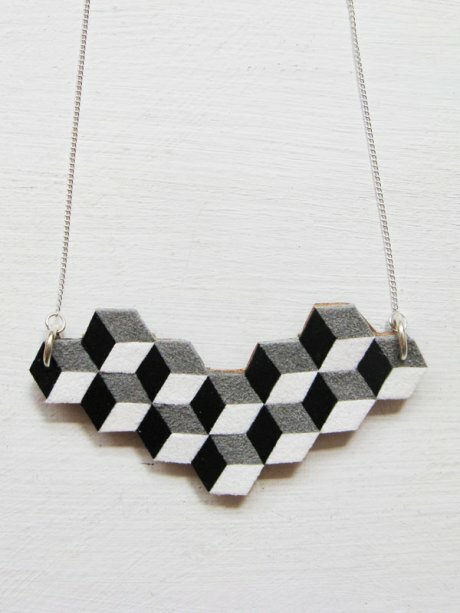 For a handmade necklace with a sterling silver chain, this modern, fresh geometric Reclaimed Leather Necklace is extremely well-priced. Prices for HTHT's jewellery collection currently range from around £8 to £70. The Keep’s bijoux jewellery collection sits alongside their womenswear and accessories, and features a lovely handcrafted range from Tanzanian non-profit organization Sidai Designs. They collaborate with and support with Maasai women, with proceeds used to send Tanzanian women to school. 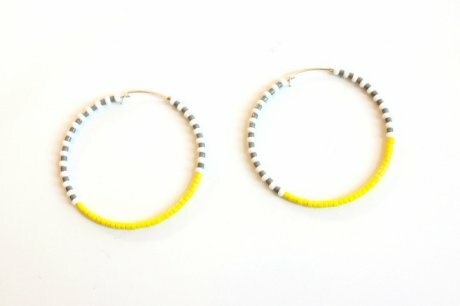 The Endito Small Hoop Earrings, available in three different colourways, are 1.5” Silver filled hoops, decorated with traditional glass beads. Prices for The Keep's jewellery collection currently range from £18 to £65. Thought Fair Trade fashion was out of your price range? Think again. 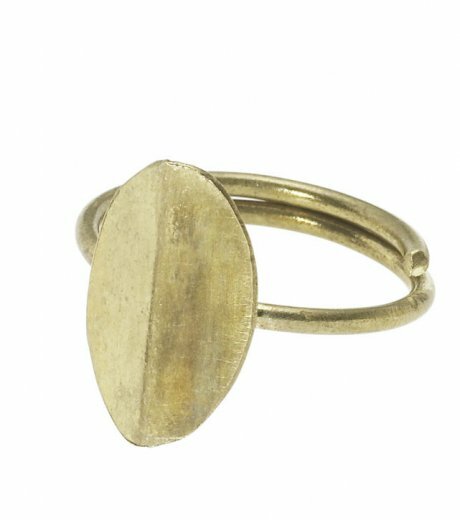 This gorgeous, adjustable Tiny Leaf Ring in brass from People Tree proves that jewellery can be both ethical and affordable. Also available in silver for £12, the ring is handmade in Kenya by Fair Trade social business Bombolulu. Find out more in our previous blog Bombolulu: Jewellery With A Heart. Prices for People Tree's jewellery collection currently range from around £5 to £50.